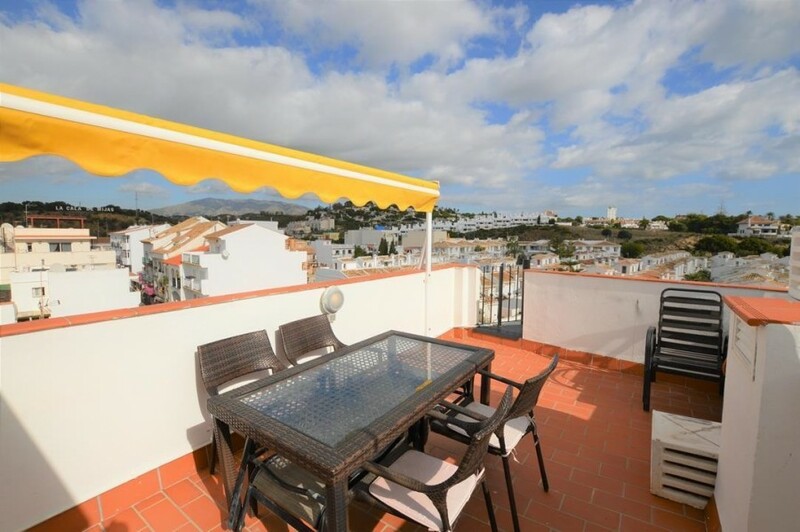 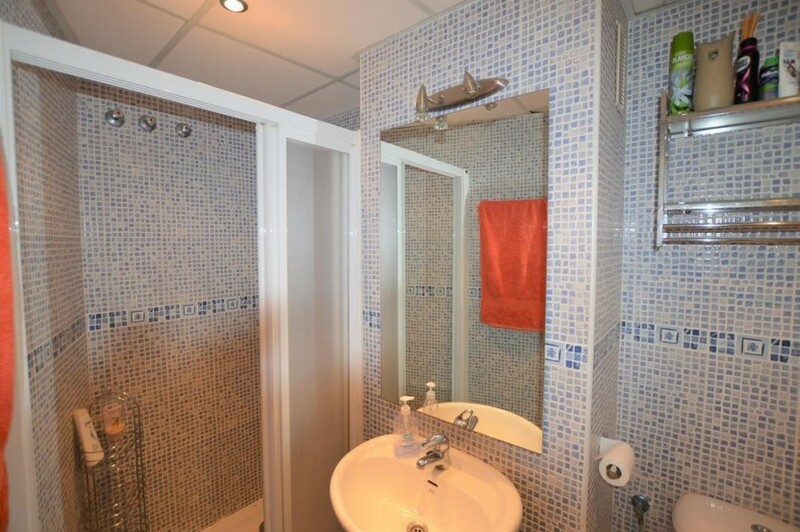 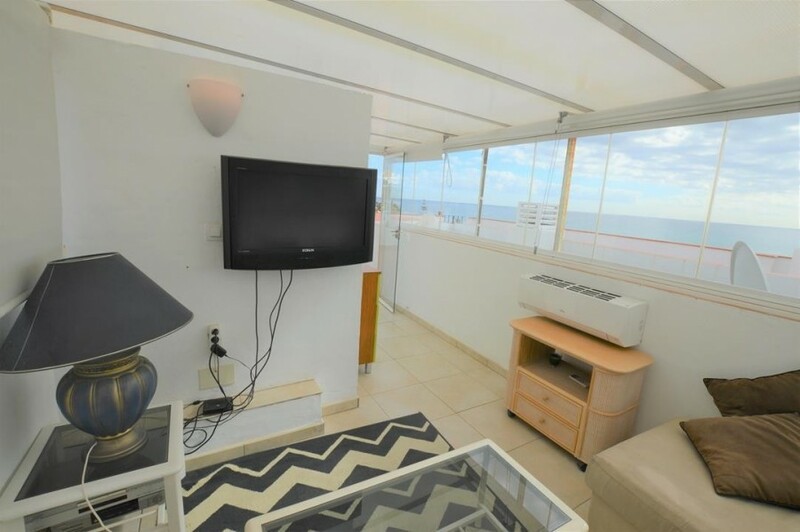 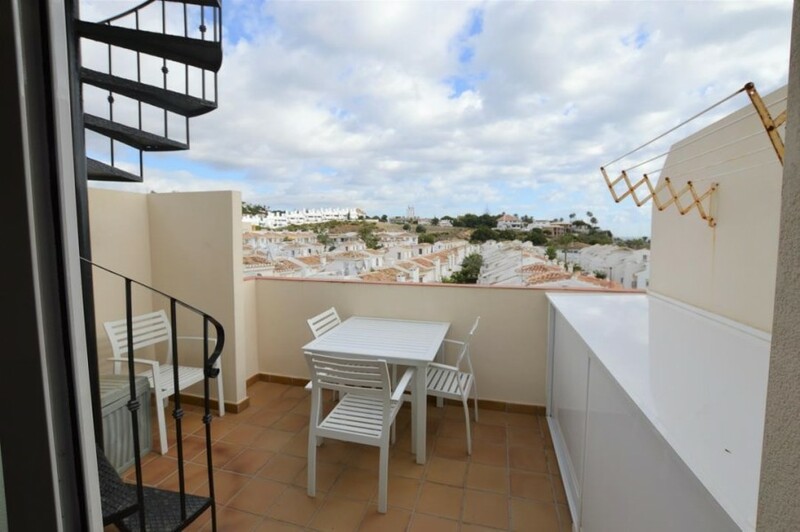 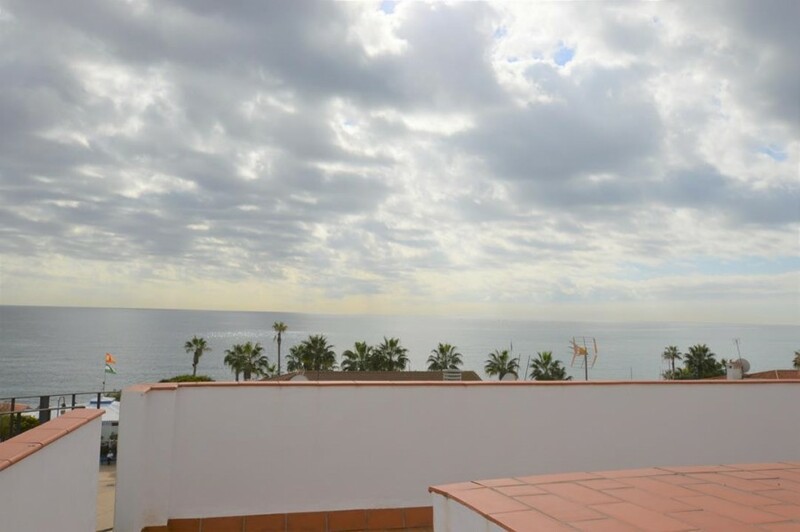 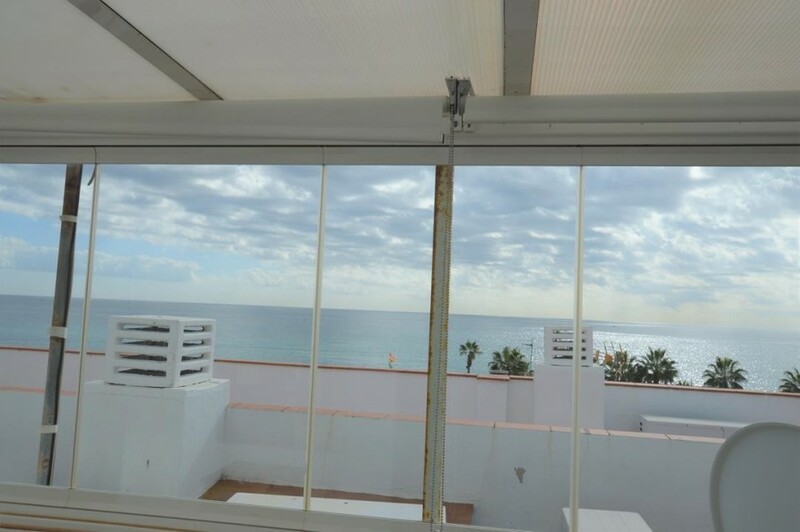 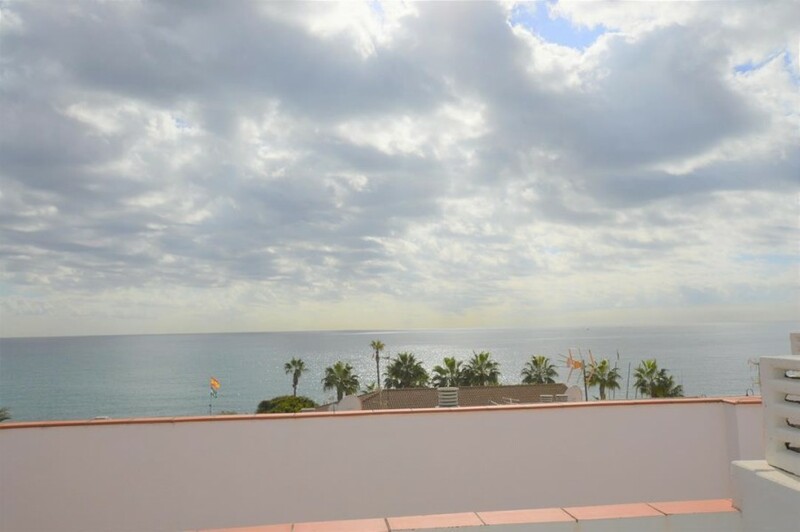 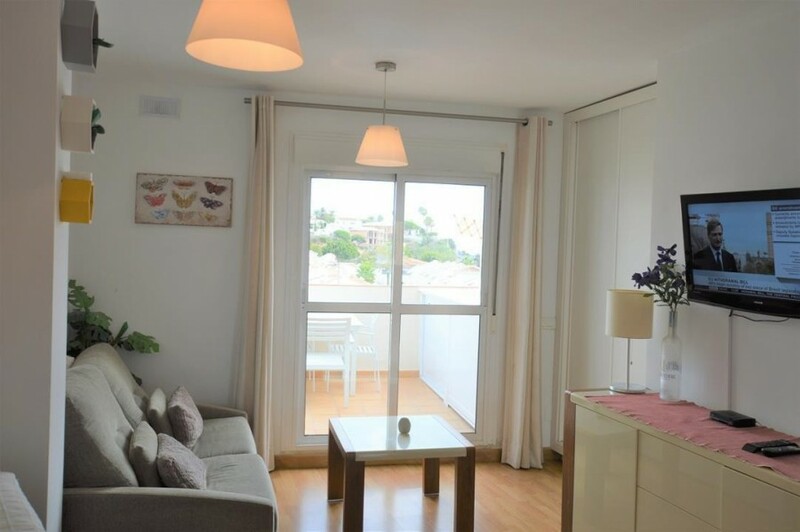 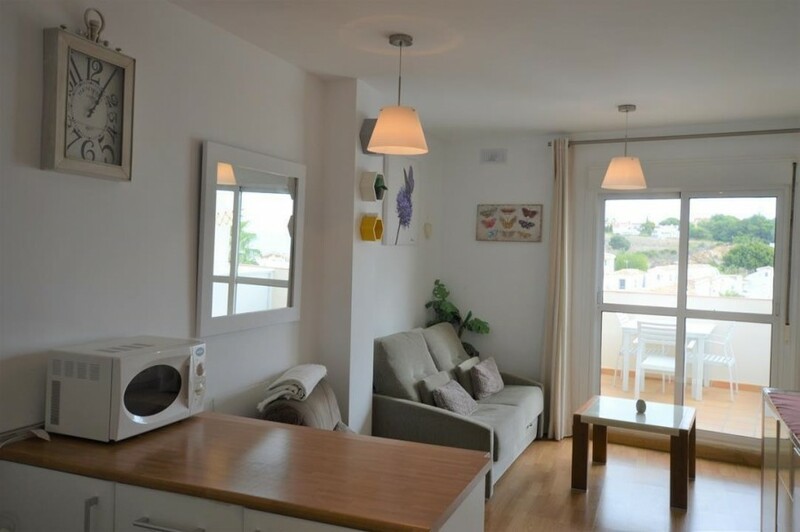 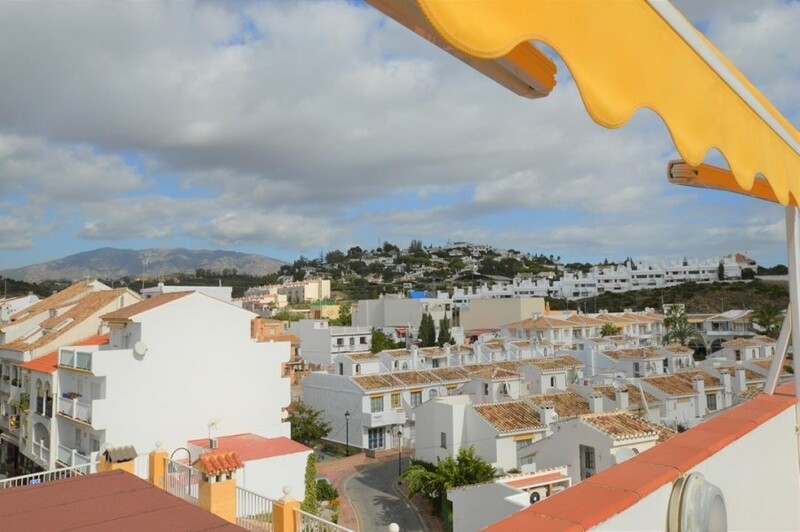 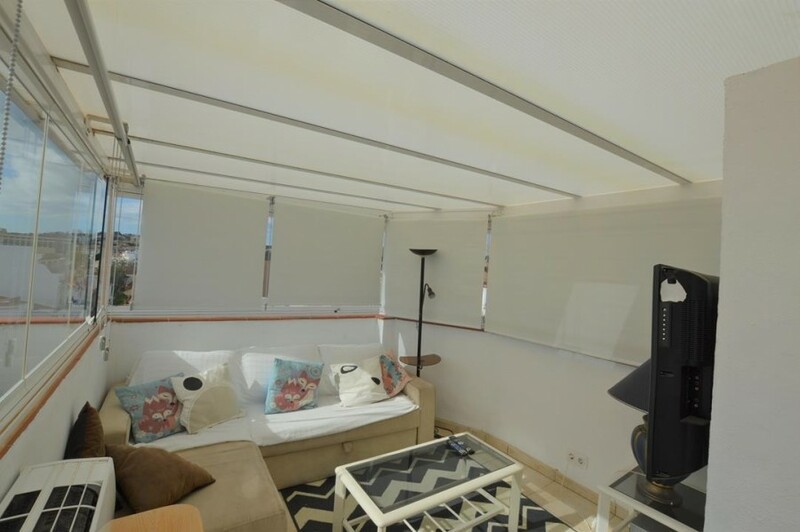 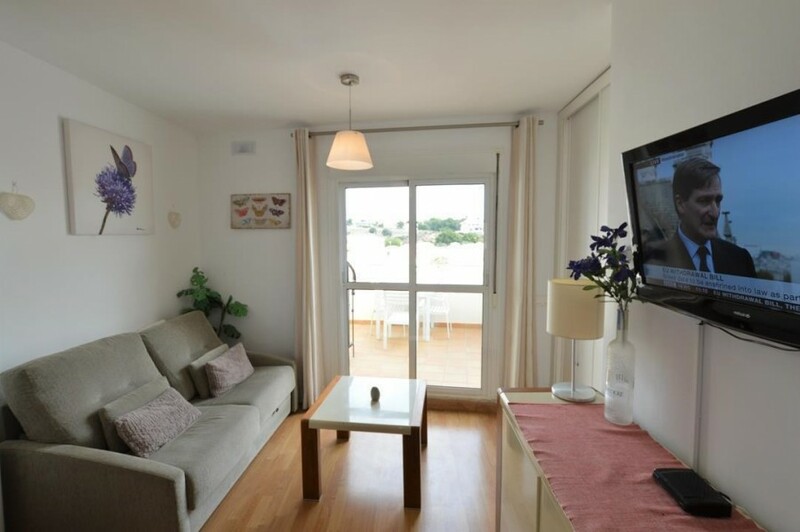 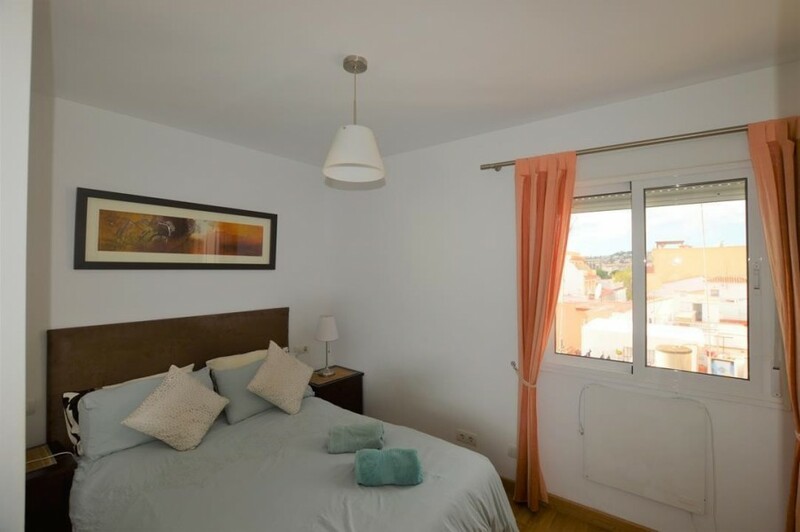 This top floor duplex apartment is in a fantastic position being right in the heart of La Cala, seconds away from one of the best beaches on the coast. 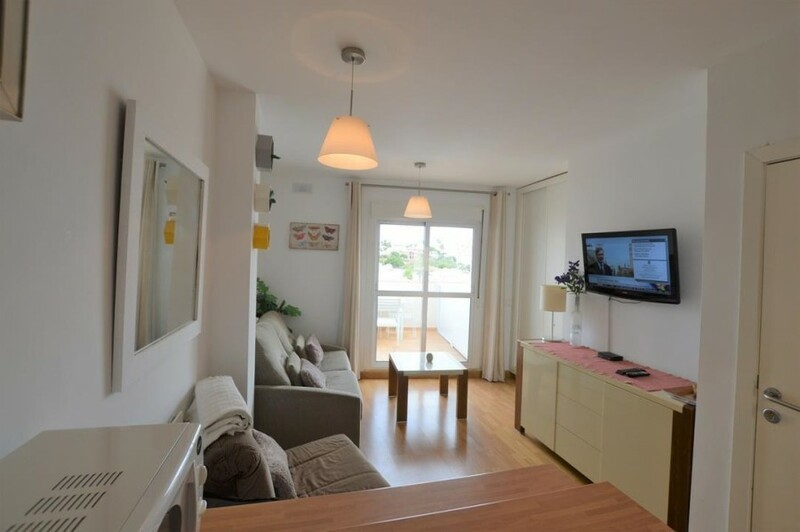 Every conceivable amenity is in walking distance-shops, bars, restaurants, medical centre, market, schools and bus stops. 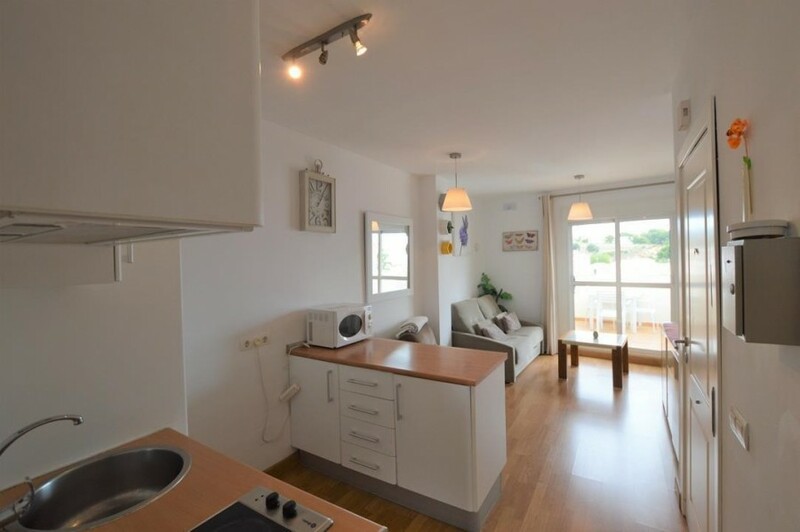 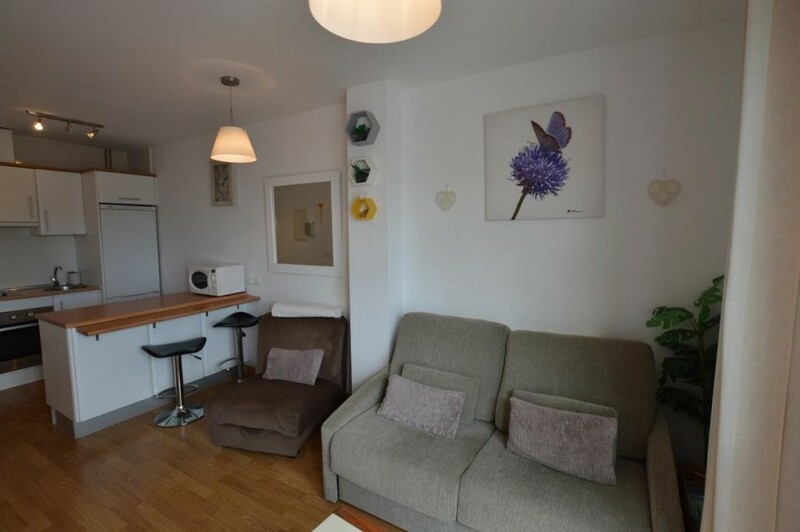 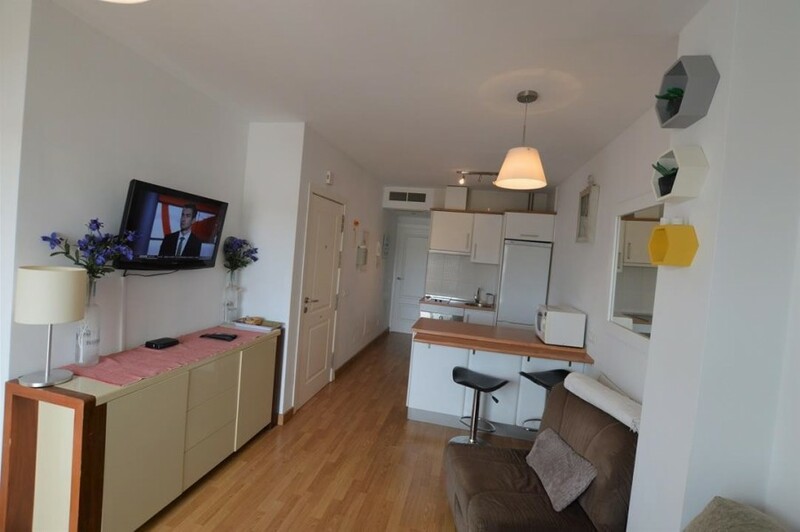 The apartment has a good sized lounge and dining area with an open plan fitted kitchen, 1 bedroom and modern tiled bathroom with a shower. 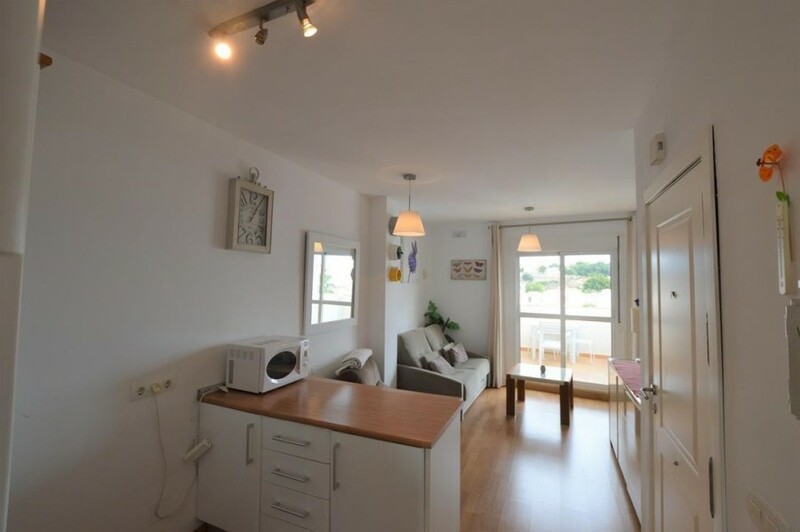 There are wooden floors throughout, air conditioning and double glazing. 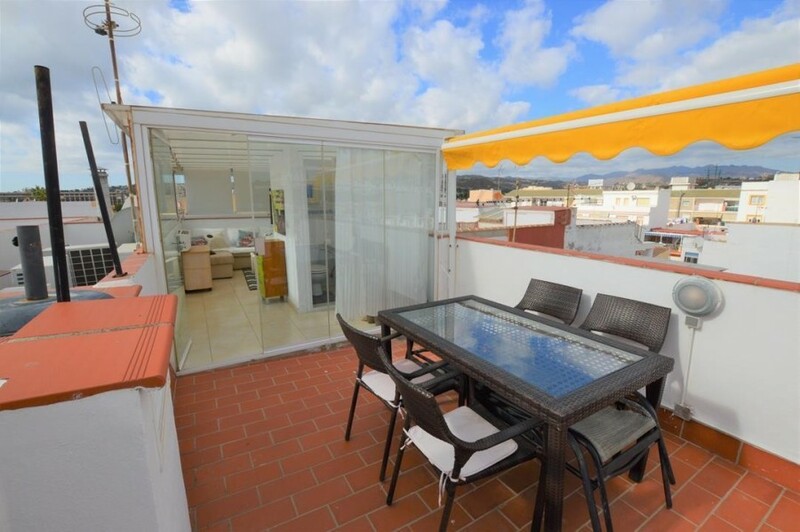 From the lounge there is a terrace which has plenty of space for a table and chairs, plus storage space and spiral stairs leading to the top floor solarium. 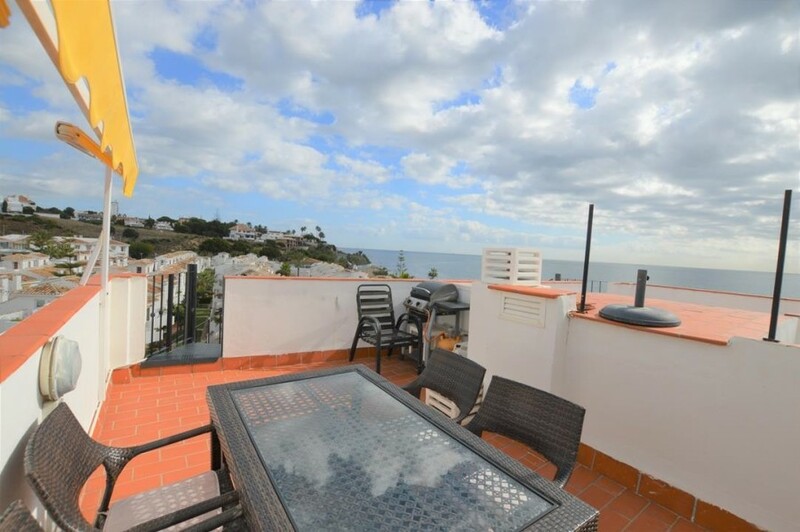 Here there is a large terrace which has fantastic panoramic views of the sea, beach, La Cala and the mountains. 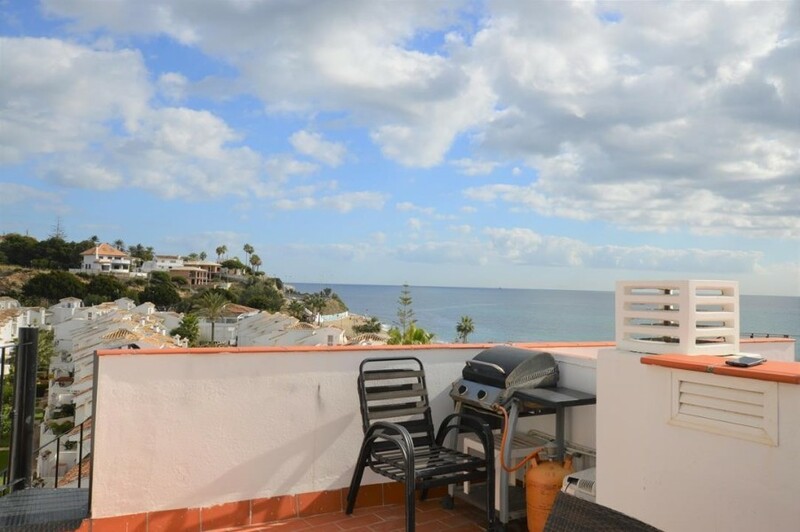 There enough space here for dining, barbecuing and sun-bathing. 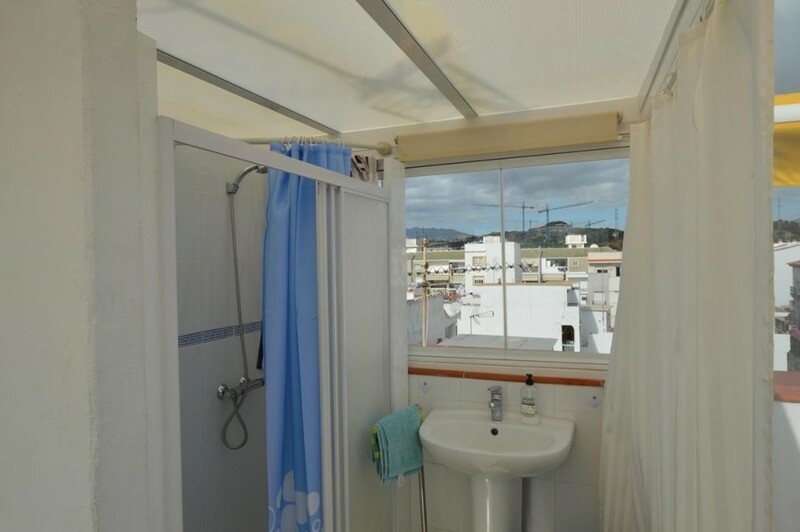 There is ALSO an extra room here which has been constructed with partial glass curtains. 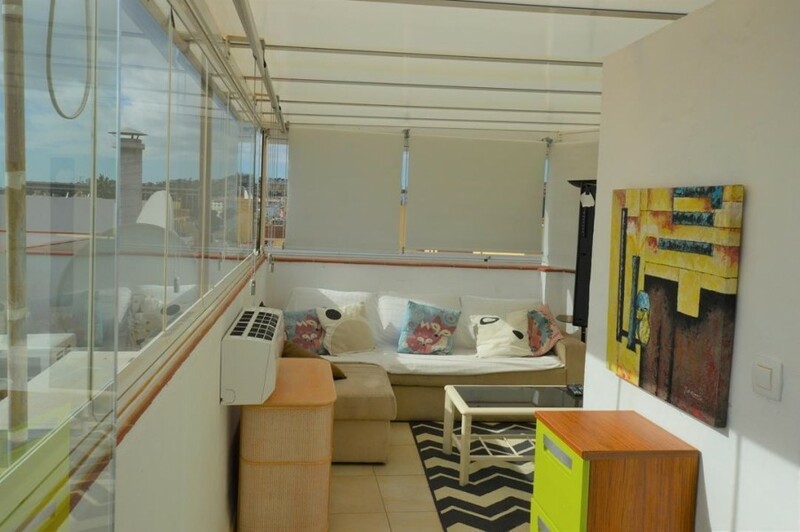 This has electric and water and can be used as a chill-out area or could be used by guests as a lounge/bedroom with a private shower. 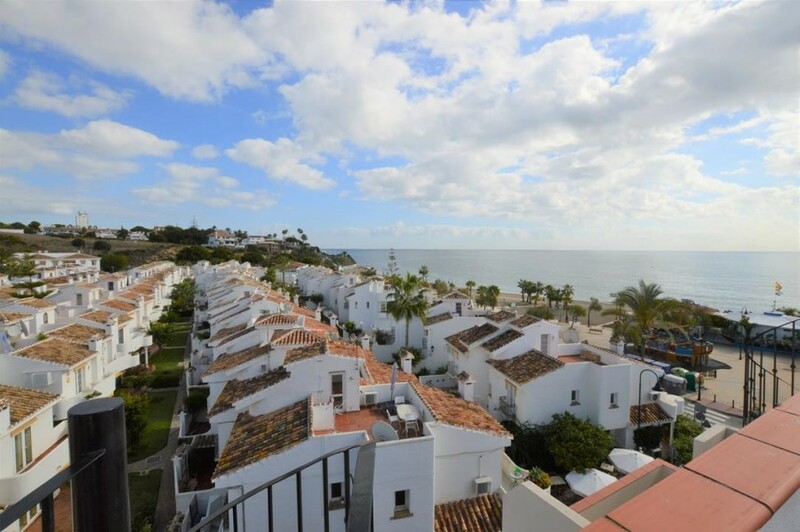 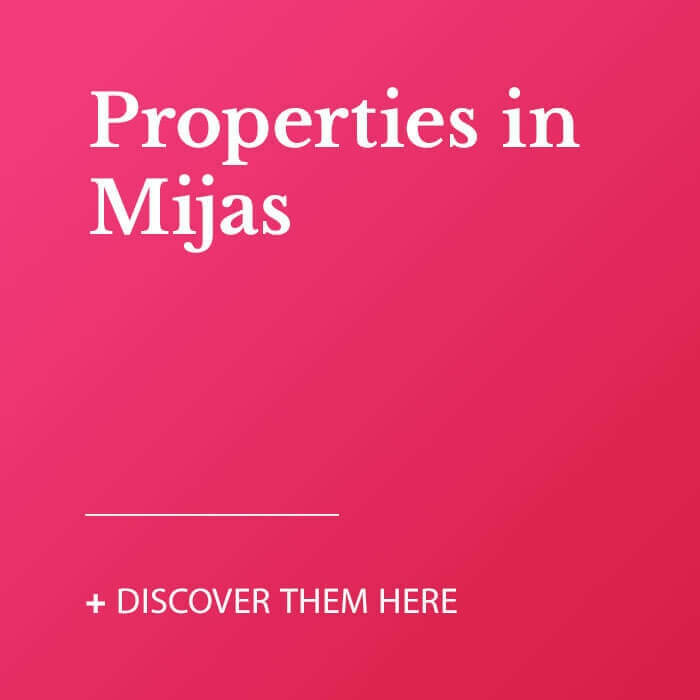 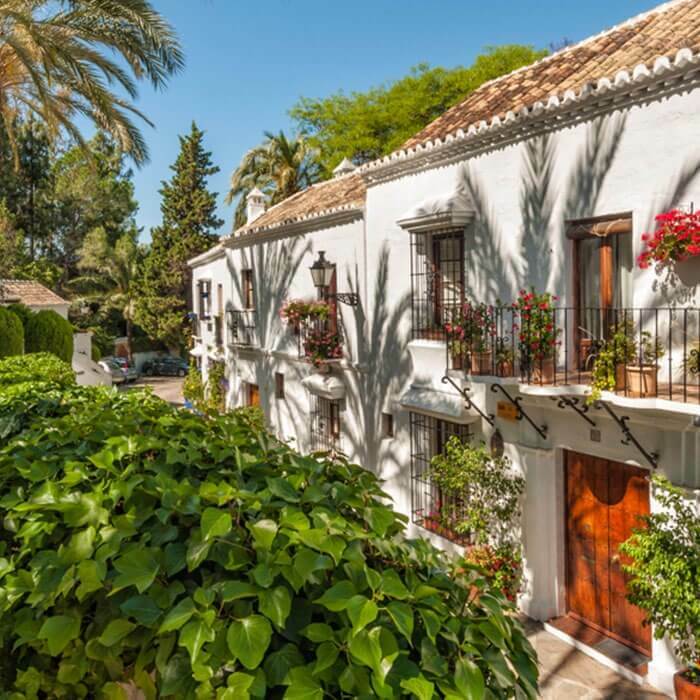 La Cala de Mijas is at the centre of Mijas Costa and is only 31km from Malaga International Airport. 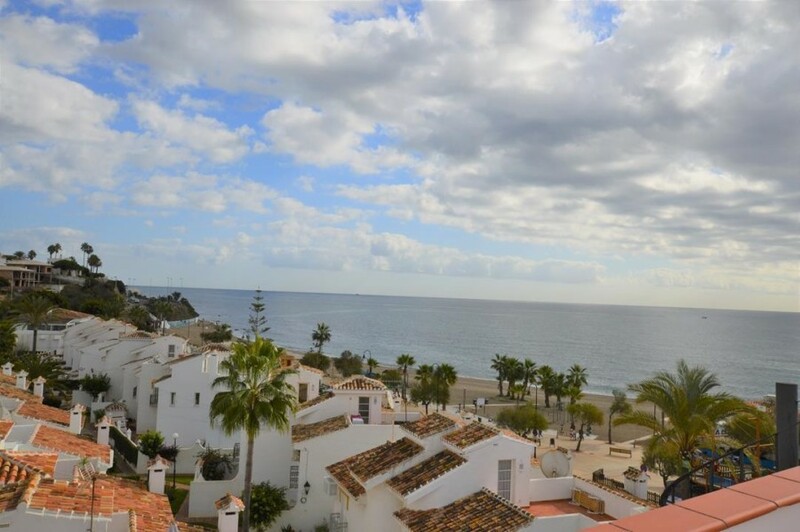 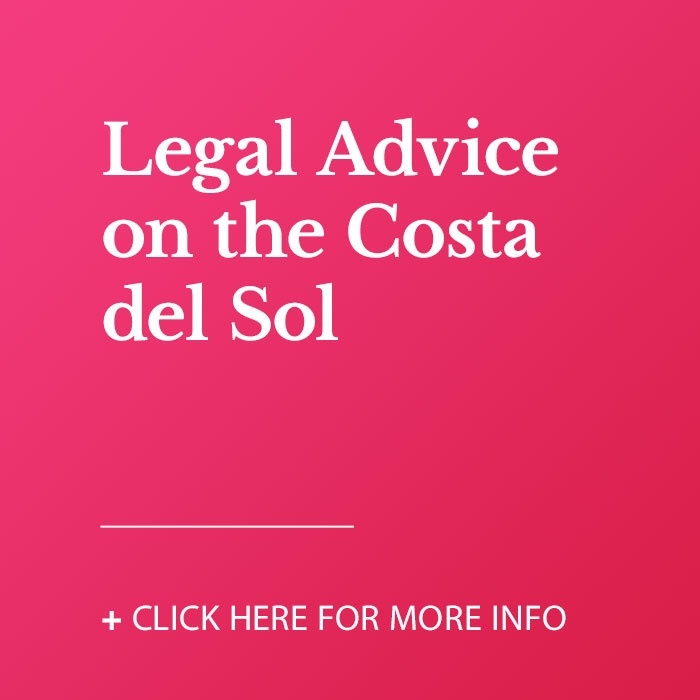 Originally a small fishing village, La Cala has grown over the past 10 – 15 years into a small thriving town but has still maintained its Spanish village appeal which attracts many foreign tourists and residents. 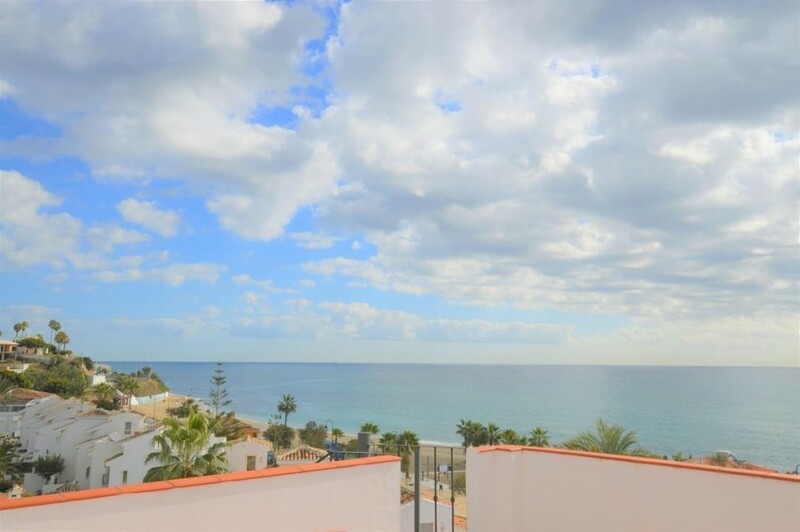 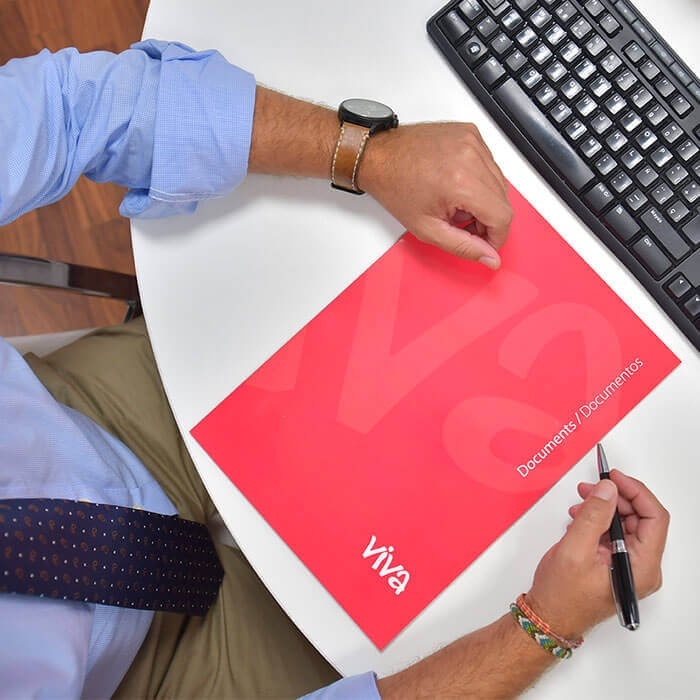  La Cala&apos;s development has led to a vastly improved infrastructure with the introduction of a health centre and a number of new schools. 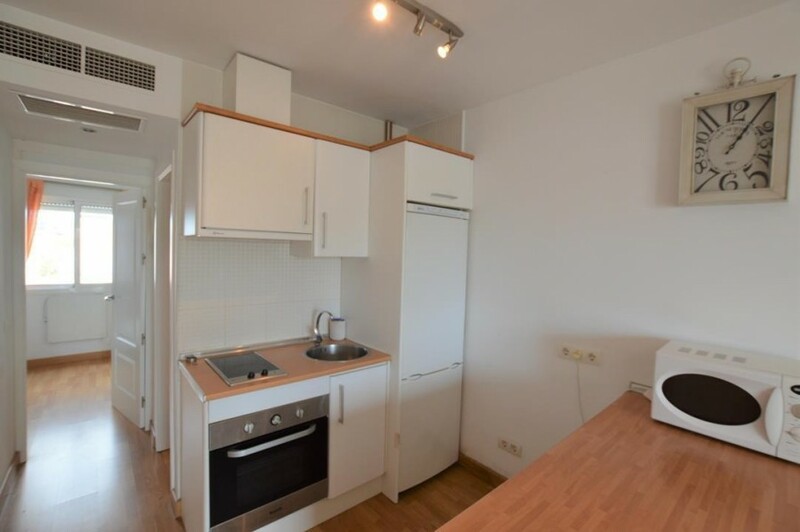 There is also a golf course. 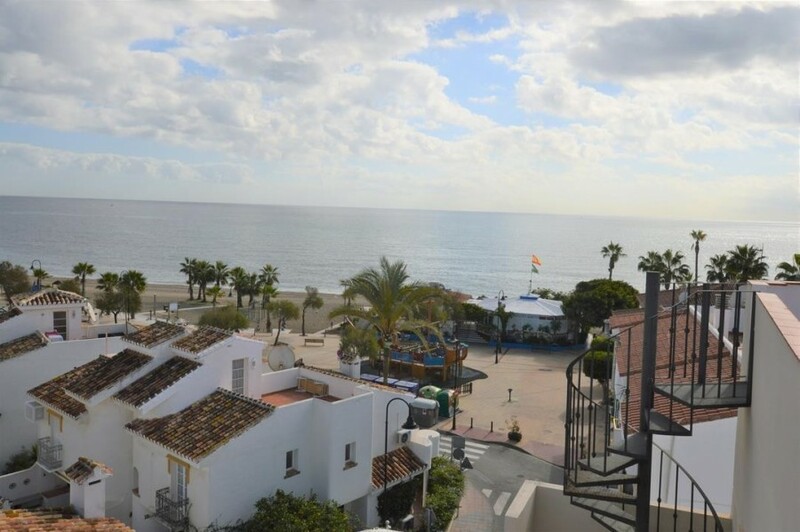 Sitio de Calahonda actually falls in the boundaries of La Cala de Mijas.